I have a particular fondness for split breaks and here is three of 'em. This is Tony's shared intro and his second shared break with the dobro. 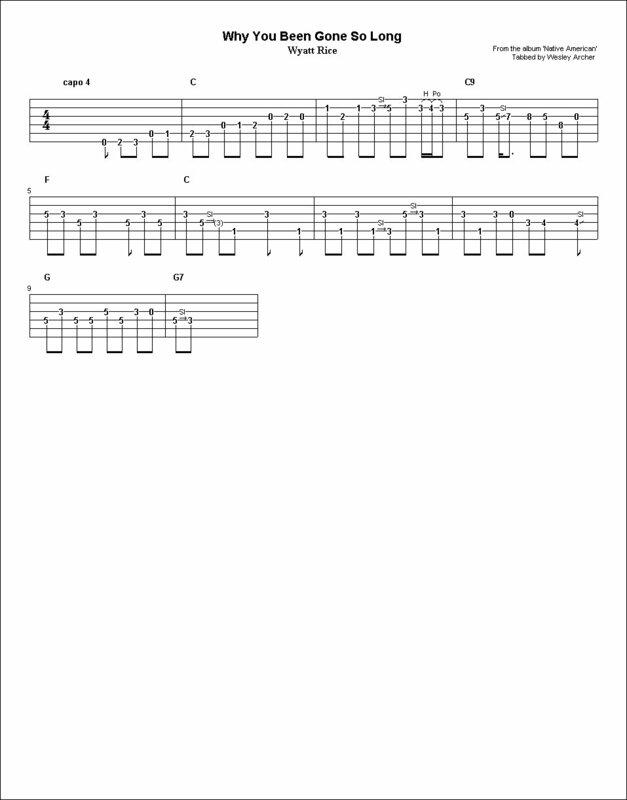 I put both of these breaks onto one tab as well as the MIDI. Tony does this tune in the 'D' position capoed at the second fret. Some fine syncopation can be heard in these solos. 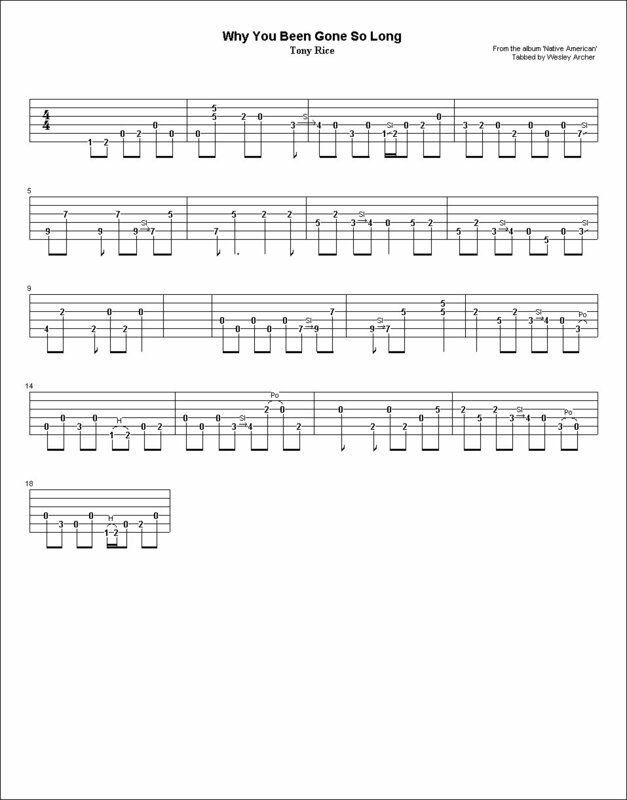 I also tabbed out Wyatt Rice's shared break which he does in the 'C' position capoed at the 4th fret. The series of syncopated notes in measures 6 - 8 may require a bit of practice. This is from Tony's 'Native American' album.